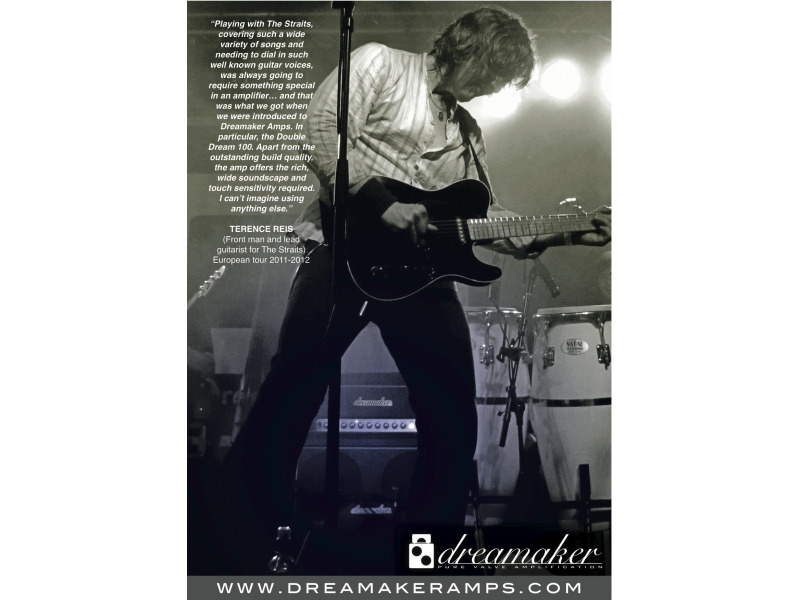 "Playing with The Straits, covering such a wide variety of songs and needing to dial in such well known guitar voices, was always going to require something special in an amplifier… and that was what we got when we were introduced to Dreamaker Amps. In particular, the Double Dream 100. Apart from the outstanding build quality, the amp offers the rich, wide soundscape and touch sensitivity required. I can't imagine using anything else."